EINDHOVEN – May 6th 2009 – POINT OF VIEW, well known for its range of NVIDIA based Graphics cards, is presenting today the first in a series of NVIDIA ION based mainboards: the mini-ITX POV/ION230 and POV/ION330. Multiplying the performance level of Intel Atom based systems, the NVIDIA ION technology has been received with massive success in the market. A strong performance combined with the small form factor and extremely low power consumption; make this platform perfectly suitable for media center and family computer applications. 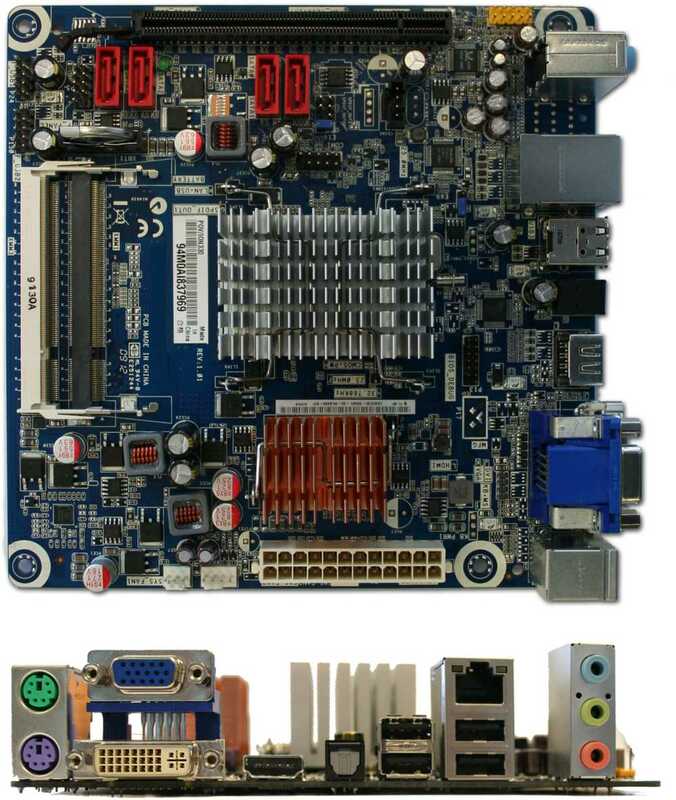 The Point of View POV/ION mainboards are built on a mini-ITX form factor and is equipped with either an Intel Atom 230 or 330 CPU. Up to 2048 Megabytes of 800 MHz DDR2 memory can be placed in the double SO-DIMM slots. Furthermore the board has four SATA connections and one PCI-Express 16x slot. Defined by all-roundness, the boards are equipped with numerous in and output connections. The graphical output connections are DVI, VGA and HDMI whilst the audio is taken care of through the SPDIF output connection. For more common functionalities the system also has regular analogue stereo in and outputs. Last but not least: no less than four USB 2.0 ports (and two internal USB channels) will be available to connect your peripherals such as USB sticks, external hard drives, DVB-T USB adapters and more. Media Center possibilities are made easy through the HDMI output and digital audio output. Whether you want to play back High Definition 1080P video directly through a BluRay optical drive, play them from an internal SATA HDD or stream them through the 1000Mbps LAN connection the NVIDIA ION GPU is guaranteed to offer fluid and sharp imaging on your LCD monitor or TV. The strong element in these NVIDIA ION based main boards lie in the GeForce based integrated graphics chipset. The graphics chipset offers excellent hardware acceleration for multimedia applications through its internal shader processors. This allows the user to easily decode High definition video streams and even play DirectX 10 / Shader Model 4.0 games. Even newer 3d FPS games are very well playable on medium texture and effects details (such as shadows and lighting). The POV/ION230 and POV/ION330 will be available this month. Contact your POV retailer for more information and availability.